Shopkins #20 - MyMagazines - Subscribe online and save. 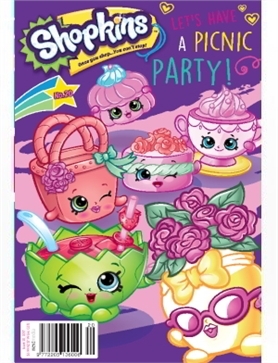 The party continues in Shopkins magazine’s latest issue! We get to know the Picnic Party Shopkins, show you how to make a pretty garland and have a cool nail art tutorial. There are also stacks of puzzles and adorable posters. Plus, we take a look at the brand new Shopkins Season 8: World Vacation – get on board for some First Class fun!